The Mac Robotics Blog: New iPhone hot centerfold shots. Daddy Steve not proud at all. New iPhone hot centerfold shots. Daddy Steve not proud at all. Still panting over the latest Apple hardware dissection photos? 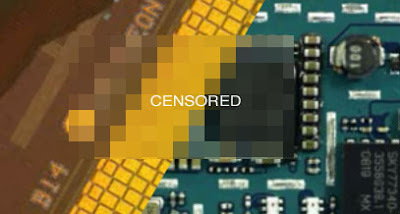 The pimptastic producers of Under The Hood/EETimes have outdone themselves again with another steamy dirty flick... of the new iPhone 3G. "In this new, titillating video, the lovely 3G's bares all of its chips for us to gaze at. Meanwhile, narration by the stud-gineer makes us wish be there, right in front of those decapped ICs under the microscope. There will be no revirginizing for this particular unit." -Rod Dickens, Geek Pr0n Weekly. If the tear-down videos don't get your nerd juices flowing, we don't know what will. There are non-designer brands in the market which acknowledged for quality. Online shops are a wonderful way to get associated with bags. Maybe people now have seen too lots Louis Vuitton Monogram bag surface.